Jedox In-Memory DB Server offers a RESTful API and communicates with clients using the HTTP 1.1 protocol. Clients send requests using this API, and the server sends a response in an easily parsable CSV format. Here, <server-address> is the network interface via by which the Jedox In-Memory DB Server is accessed, and <port> is a network port. It is possible to specify several listening interfaces; however, a unique port must be specified for each entry. 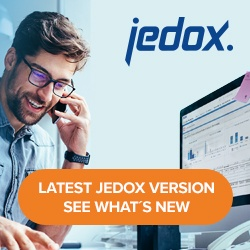 The full documentation for the Jedox In-Memory DB Server’s HTTP API is accessible by opening the address http://<server-address>:<port>/api in a web browser. where <server-address> is the network interface by which the Jedox In-Memory DB Server Browser is accessed; this can be the same interface as used for another HTTP entry. <port> is a network port, and it must be different from any other port used for the Jedox In-Memory DB Server’s HTTP interface. For example, if HTTP for Jedox In-Memory DB is configured on port 7777, the port for admin interface could be set to 7778. Important note: the admin interface is now protected with a username and password. Once accessed, the user has full control and can delete databases, cubes, etc. Thus, it should only be enabled for debugging purposes. Over the Admin Interface and the HTTP API of Jedox, the server can be controlled and data can be retrieved from other computers as well as from the server itself, even without an Excel client installed. In this case, you have to enter the server IP address followed by the port number in your browser. For example, for access to the server itself, you would enter “http://127.0.0.1:7778/” or “http://localhost:7778/”. You can use the server browser for administration of the databases via a browser. For example, you can delete a database via the browser. Click on a database to see an overview of its cubes and dimensions. You can also find the API documentation on the website. The access from other computers to the API is made possible in a similar way to the access for Excel clients. would allow access over all IP addresses of the computer, including “http://localhost:7778/”.